Last year, we caught up with the popular British rider at his home event - the Longines Global Champions Tour of London, held at the iconic Royal Hospital Chelsea - to learn more about his story. 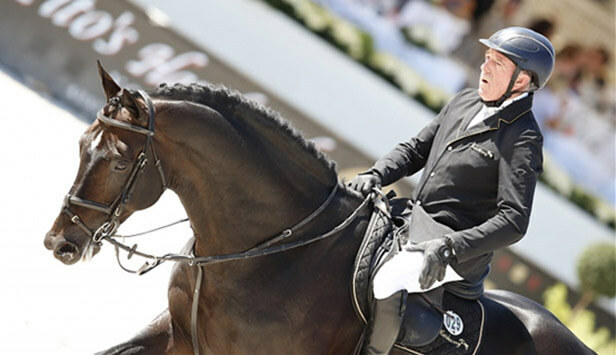 John has a powerful resume, competing in 6 Olympic Games, famously riding the popular Ryan’s Son, icon grey Milton and top stallion Argento to world class success, including podium places in Lausanne, Monaco and London on the LGCT circuit. 2017 saw John play an influential part of the Championship winning Global Champions League team, the Hamburg Diamonds, where he teamed up with Harrie Smolders, Eric Lamaze, Audrey Coulter and Jos Verlooy, their U25 rider. This year John made appearances in Shanghai, Monaco and Chantilly helping the Diamonds clinch the win from arch rivals Valkenswaard United - John’s former 2016 team where he famously competed against his brother Michael.